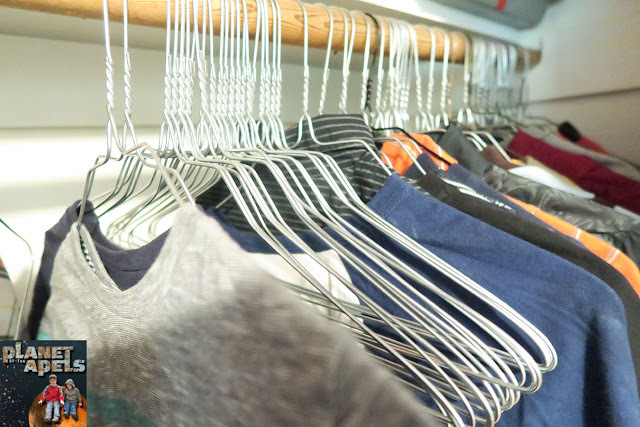 This week I changed Isaak's clothes over from little kid hangers to adult hangers. His shirts were falling off the hangers, so it was time. BriaUSA sent me 100 Strong Silver Galvanized Metal Hangers to review. It's a $35.98 value. Typically I go for plastic hangers. I have wooden hangers in our coat closet. Isaak has a tiny closet. 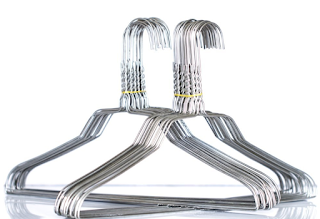 Metal hangers are just a lot thinner then other hangers. I love the BriaUSA plastic hangers I put in Mica's room. Their strong silver, galvanized metal wire hangers in Isaak's room are great! 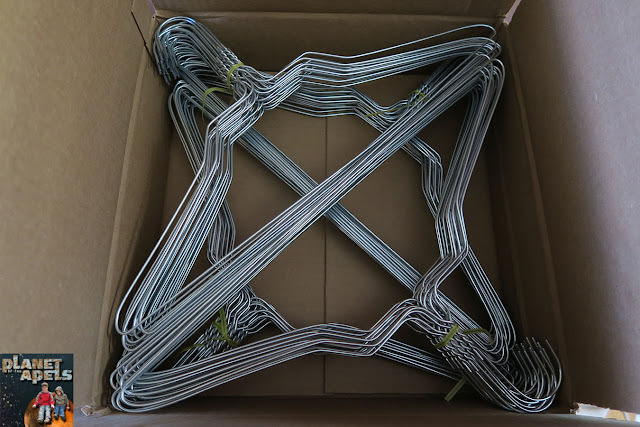 They are thicker than typical metal hangers: 16 inch, 13 gauge. I know they said 100 hangers were coming to me. It's a great deal! We got a dumpster for a week to throw out stuff in the shed. I had Isaak help me throw out store hangers. 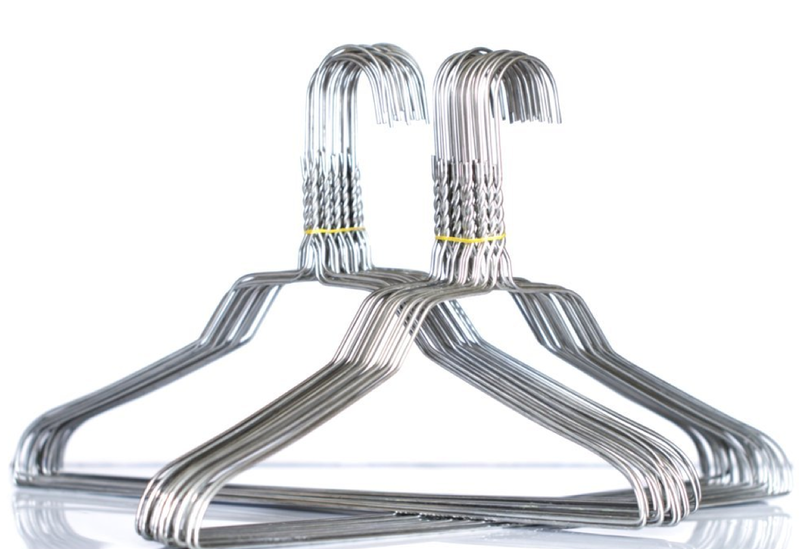 The baby hangers went to the Good Will. His closet seems to have way more room even though we didn't really get rid of any shirts. I love that BriaUSA is a USA store. Everything is from here. They stand by their product. If you don't like it, you get your money back. I feel like we are always running out of hangers in our house for some reason. It's weird. We have switched Broxton to metal ones, they don't take up much room... and then when we move them to get ready for the consignment sale, they are ready to go! Either I have way too many or not enough hangers. Why can't I ever have just enough?